Check out the details below and submit your photo today! * 2-3 paragraphs about you and your stepmom journey! We’re changing the way the world sees stepmoms—one cover at a time! Photos must be high quality(studio shots are preferred). Only high-resolution files will be considered: at least 250 dpi and at least 8 inches wide. You’re the star here. Do not include: kids, spouses, pets, objects or other people in the photograph. You can be standing or sitting. Full body or upper three-quarter torso shots are both acceptable. Wear casual clothing that reflects your personal style! Not sure what we’re looking for? Click here to view recent covers. Selected cover girls will be notified by email and asked to complete a standard release form prior to publication. By submitting your photo and information to StepMom Magazine, you consent to all StepMom Magazine terms and conditions. Submission does not guarantee placement. Photo must not already be in use or appear anywhere else in print or online media, including but not limited to: social media profile pictures, personal blogs, website, newspaper ads or promotional materials. 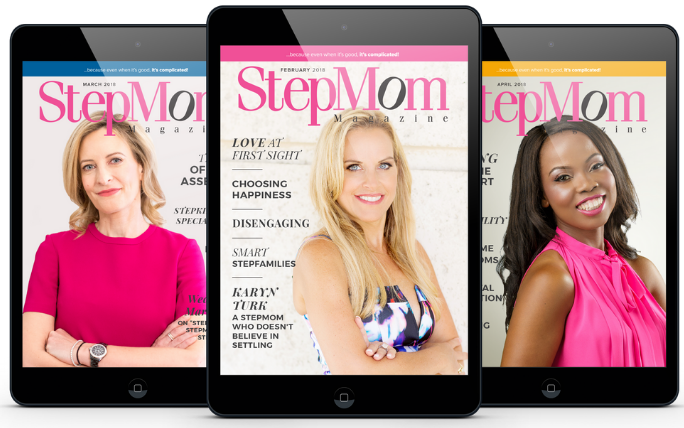 Cover images may be used for StepMom Magazine promotional purposes, including but not limited to Internet, print and Facebook advertising.